Ever hear yourself saying these words to those you lead? We live in a world that is skeptical of trusting anyone. A recent Gallup poll suggested that Americans don’t trust anything, from used car salesmen to Supreme Court justices. The poll also included banks, television news reports, the police, public schools, and just about everything else. Probably for good reasons, 56% of those surveyed don’t trust church leaders either. In 1973, “the church or organized religion” was the most highly rated institution in Gallup’s Confidence in Institutions measure, and it continued to rank first in most years through 1985. Since then the number is at its lowest ever. “There is one thing that is common to every individual, relationship, team, family, organization, nation, economy, and civilization throughout the world—one thing which, if removed, will destroy the most powerful government, the most successful business, the most thriving economy, the most influential leadership, the greatest friendship, the strongest character, the deepest love . . .
Not that long ago I was on a trip to a church conference. I spoke the street address into my smartphone and relaxed as the phone told me where to go. When I arrived I realized that I was not only at the wrong church but on the opposite side of town. I then called to get the accurate directions and of course, arrived late! I put my trust in the technology of the phone. Much like taking a trip, I automatically know I have to lay out a leadership map that gets me to the destination. Without proper planning, anyone would get lost. 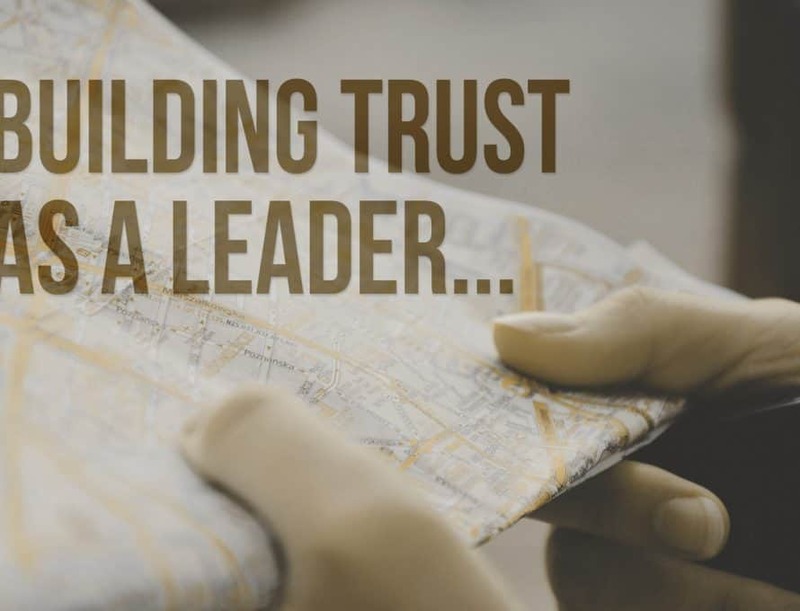 The roadmap to growth in any ministry begins with building trust with the people you serve. Every leader probably knows that trust is important but may not know it is imperative. If you were building a new house, think of trust as the foundation. Trust is both vertical with God and horizontal with people. A pastor can be gifted at preaching, a good manager of details and great at growing the church, but not maintaining high trust weakens his connection with the people. When church members trust their pastor, amazing things can happen. But, a lack of trust can ruin everything and kill the ability of the pastor to lead. High trust may not help a poor plan, but low trust will crush a good one. When a pastor wants to make a change at church, considering the effect the change will have on individuals is often forgotten. I have noticed that at least half of all people hate change. The other half are lying. Change causes all sorts of emotional reactions. Lots of pastors just decide to make a change and assume it will work out later. This is where high trust is critical. High trust begins with the character of the leader. Someone is “trustworthy” when living an honest lifestyle. Trustworthy people tell the truth. Integrity is revealed by the action taken to carry out the values, ethics and morals the person believes. It also involves being faithful. People must know they can rely their leaders. High trust comes from showing others that character counts from the words we say and our actions. Pastors are often guilty of saying one thing and then changing their mind. People are caught off-guard and surprised by the new change. Over time this creates a belief that your leadership cannot be trusted. That is the definition of high fear! If you cannot be trusted, you have just created an environment of high fear. So above all, you must build a foundation of high trust and low fear among your staff and your church. The next principle is being capable and consistent. Great character is impressive but your skills to produce are also very important to build trust. People have to know you are the right person for your role and they must witness the results over and over. Consistency builds the best kind of trust. People rely on your strength and habit of follow-through. Doing the next “right thing” over and over again builds a bank account of trust. Every deposit adds confidence in the leader. Keep leading in the right direction and there is a great chance people will follow your plan. Next, craft the way you will share “what you want to do”. Communicate the why and what to your key leaders first. Share your concerns about your ideas. You need to be transparent. Then, if you believe you have a green light to move forward, communicate at least 3 times to your people! Communicate it in various settings whether in the hall, in a small group, or in a large meeting. When the change happens, communicate that it happened and how it is going. When the change is over, communicate how it went and the results it produced. Although exhausting, this is probably the most powerful communication method you have to improve and grow your church. The gospel will save people but effective communication will unify your body of believers. Trust creates a healthy group of believers who can love and serve both God and each other. EDITOR’S NOTE: This column first ran as a post on Midwestern Baptist Theological Seminary’s new online resource, For the Church, at ftc.co.